On this cool and cloudy Saturday, Martine and I paid another visit to the Nethercutt Collection in Sylmar. 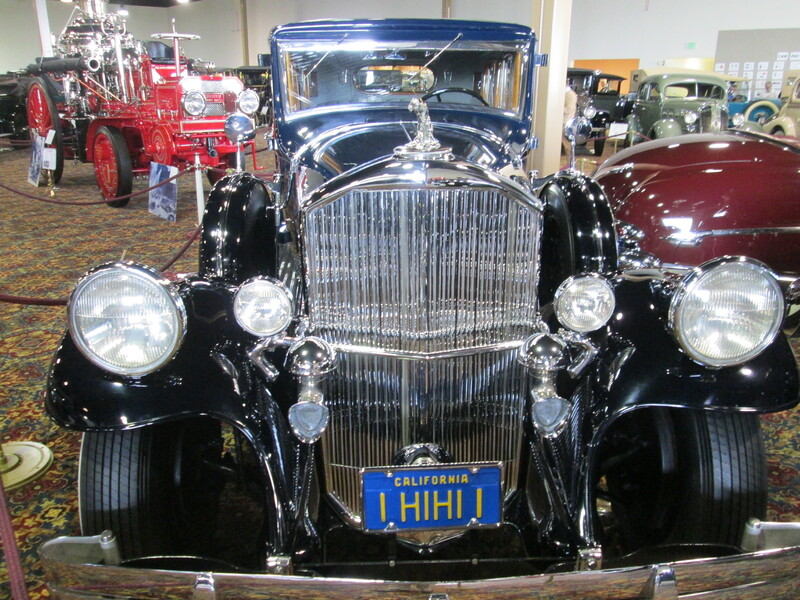 We saw many of the same cars as on previous visits, but were newly impressed with the variety and beauty of automobiles manufactured in the 1920s and 1930s. The 1932 Pierce-Arrow practically called me by name as I walked by it. Like all the cars at the Nethercutt, it shone like a jewel. Even the tires look bran new. And yes, that is an old fire engine in the left background. When I compare today’s cars with what was available a hundred years ago, we have lost individuality. (It looks like all the car bodies today were tested in the same wind tunnel, whether from Mercedes, Range Rover, or BMW.) Do you think the Toyota Prius is a new concept? Not so, there were hybrids a hundred years ago—and they looked better, too. 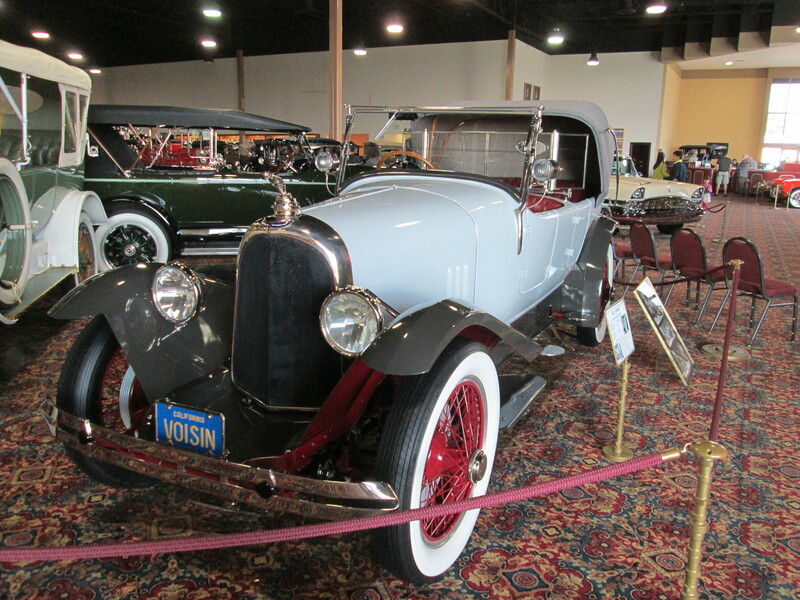 Many of the automobiles on display have fascinating histories. For instance, there were only eighteen Rolls-Royce Silver Phantom IVs manufactured, and they were all sold tom heads of state. The Nethercutt has one of the two that belonged to the Sheikh of Kuwait. At the time he owned them, there were only twenty miles of paved road in the whole country. And then there is the gray 1923 Voisin that belonged to Rudolph Valentino. He purchased three of them, and brought one of them back with him to Hollywood. The hood ornament is a custom-made cobra head which was given him by fellow actor Douglas Fairbanks Sr. There is even a Duesenberg Twenty Grand that cost … twenty grand. It was the only one manufactured, a special order made for the 1933-34 Century of Progress World’s Fair in Chicago. Will I ever get tired of seeing these beauties? Not bloody likely.